24/7 streaming of tunes that you love! 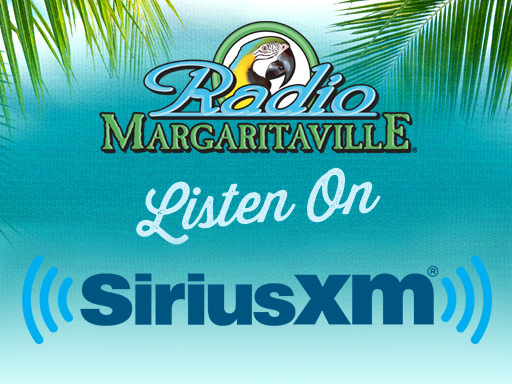 That's right, you can hear nearly every Jimmy Buffett concert live on Radio Margaritaville! And trust us when we tell you that you've never experienced anything like Buffett live on SiriusXM Radio. It's the next best thing to being there! All of your favorite Jimmy Buffett tunes from the beginning to the present. You never know what you'll hear, from the live albums to rare tracks to old gems. The Buffett Buffet is guaranteed to satisfy. Fruitcakes on the Radio lets YOU be the DJ! This is your chance to show your love for Buffett's music and the tropical lifestyle, and dazzle your friends while you do it! Email us at Fruitcakes@SiriusXM to enter to be a guest host and include your name, city, state and your 4 favorite Jimmy Buffett songs. No need to fret when Jimmy is not on tour - we have an archive of previously recorded concerts that we're more than happy to play again! Relive the excitement of past tours with our concert replays! PLEASE NOTE: All times are subject to change. Raised in the picturesque town of Safety Harbor, Florida, Kirsten grew up in what could be the setting for Margaritaville with a lifelong passion for music, travel, sunshine and water. The irony is that Kirsten works so hard that she barely has time for Margaritas – along with hosting each day on Radio Margaritaville she is the Program Director as well as one of the (non-singing) voices of the Margaritaville Brand where her friendly voice can be heard on various Margaritaville products and resort locations! Like many Parrotheads, JD's first Jimmy Buffett concert changed the course of his life. That night, Nov. 20, 1983 in JD's home town of Tallahassee, may be a slightly blurred memory, but he still has the tequila bottle that was consumed as a reminder. JD knew then that he wanted to entertain. After working with kids and DJing in his hometown, JD moved to Orlando to continue his career. His talents soon reached every major Orlando theme park as a DJ, MC, and Host. In 2007, JD landed the perfect gig as host for SiriusXM’s Radio Margaritaville. When not broadcasting Live from the Orlando SiriusXM Parrot Perch, you will find him taking his show on the road in support of Margaritaville venues and Parrothead Clubs from Key West to California. Steve's working and playing friendship with Jimmy Buffett started back in the Seventies. Years later, Jimmy was building Radio Margaritaville and needed his help. Since then, it's grown into the daily tropical soundtrack to working, driving, boating, beaching and partying on the patio. What a gig! Jasmine Cherí Shinness is a bright color lovin', beach bummin', musician, dancer and painter based in Nashville, TN. Growing up in a musical family, she developed a natural and strong love for music at a very young age. Her late father, Tom Shinness exposed her to a variety of musical styles from around the world. She has experience with performing, writing and producing her own music, which adds to her enthusiasm as an airhost for Radio Margaritaville. Jasmine has also displayed her paintings at various places around town. In her artwork you can see the vibrance of her zest for life intertwined with the deeper meanings and sentiments of the heart. Sara is a Tallahassee Lassie and coincidentally went to the same high school as Radio Margaritaville DJ JD Spradlin. She moved to colder climes, but still prefers flip flops and the smell of sunscreen any day of the year. She hosted an Aspen Jimmy Buffett (as Freddie and the Fishsticks) concert and got back on the beach! Bryan Batista was born and raised in South Florida to Cuban immigrants escaping the Castro regime. He holds some good Buffett street cred as one of his first shows was on the infamous "You Had to Be There" tour and he was hitting the bottle pretty hard then... sippy cup. After starting his radio career in the land of the Seminoles, he did a stint in California, before escaping to the Rocky Mountains near Denver for over a decade. Now, back to the sand, Bryan currently dips his toes in the waters off Hilton Head Island. He´s got rum running through his veins instead of Cuban coffee. Bryan is a beacon of positive energy and if you´re ever in his company, he always has a story to tell and is eager to hear yours. Please complete the form below to submit your song request. Thanks! Please send me email updates on all things Margaritaville!